You are presented with the challenge to transform and improve an environment on every project. Typically, the waste management component is not on the top of your list. We can help you make help make this part of any project more efficient, economical and simple. We’re the waste management experts — it’s what we do well. At Somat, we recognize the importance of supporting our valuable consultant and designer clients. 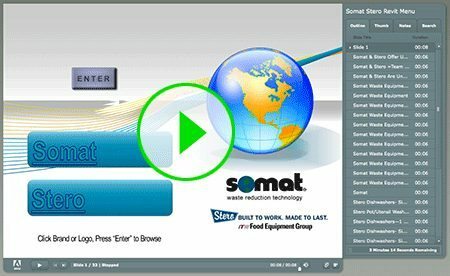 To make specifying easier and faster, Somat has made Revit families readily available to you. 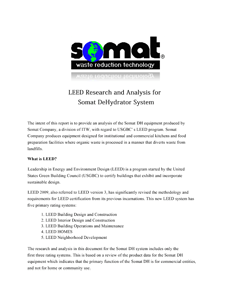 Click below for access to Revit for Somat Equipment. We provide CAD downloads for most of our equipment. Please call us if you have any issues with the download or need additional information. Call us at 1-800-237-6628. We have done extensive research on three of our product categories. 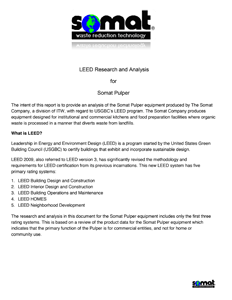 These reports will assist you to obtain LEED credit contributions to your projects. If you have any questions, call us at 1-800-237-6628. Click to download the PDFs.